Emergency Vehicles Puncture Repair Kit for Tubeless Tires. 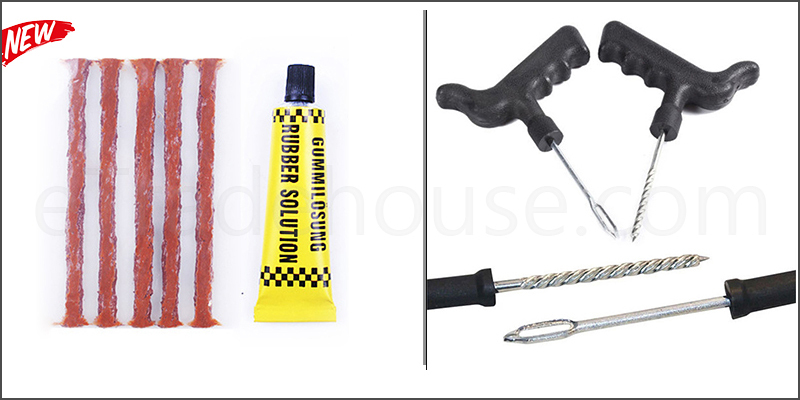 The Car Tyre Repair kit will allow you to mend punctures quickly and effectively. Durable Plastic Handles providing great grip. Instructions Included on Back of packaging. Essential for Vehicles with Tubeless Tires. This Rasper Tool allows Tire hole widening and cleaning. Needle Tool allows Tyre Rubber Strip insertion. Includes 5 Repair Rubber Strips. Useful Tool to keep in the car with spare wheels.